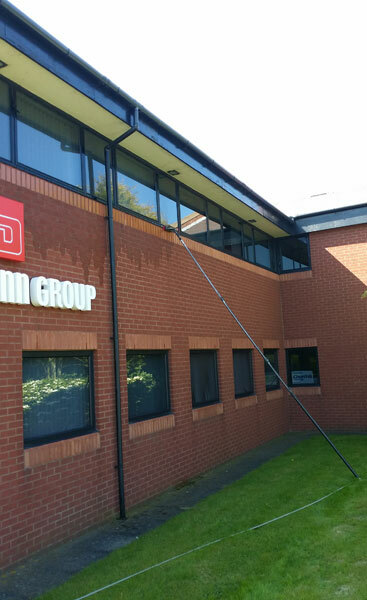 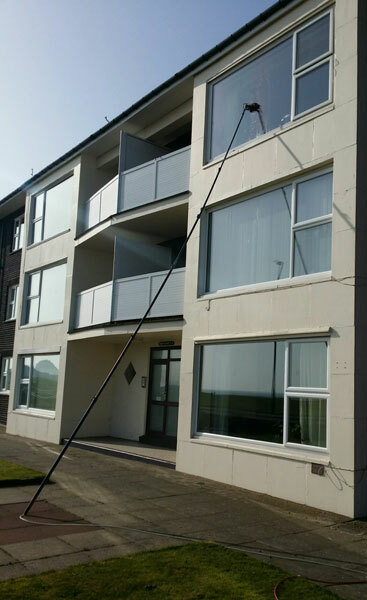 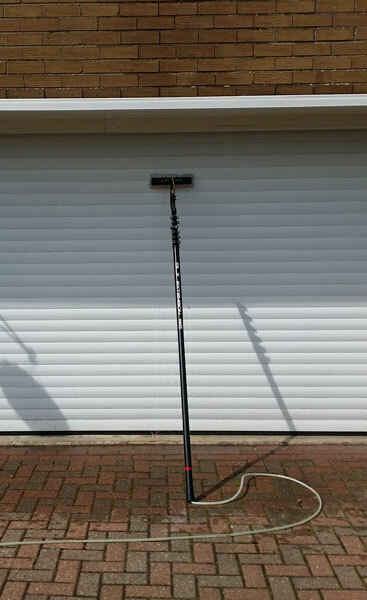 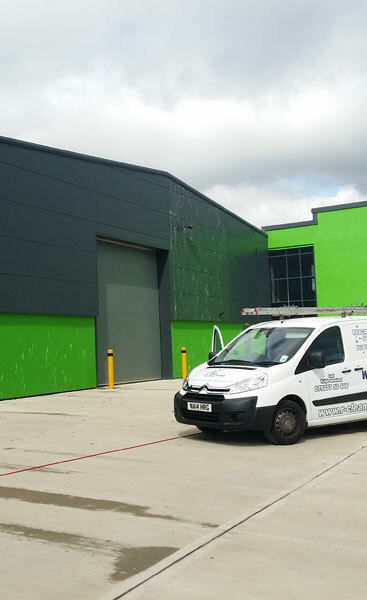 As we are always looking to keep up to date with the window cleaning industry and what is best for our customers we have been cleaning windows for some time now using the reach and wash system with water fed poles, this uses water purification technology. 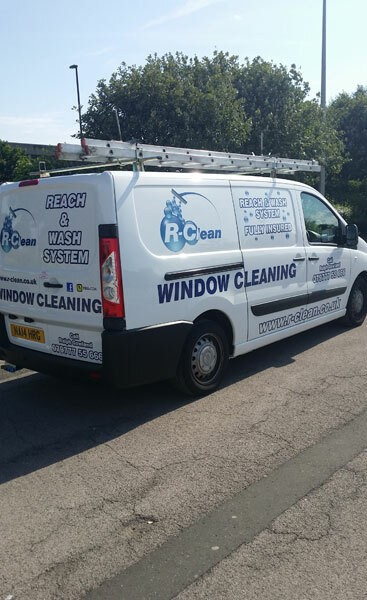 The water used with the reach and wash system is pure deionised water which has had all chemicals and minerals removed. 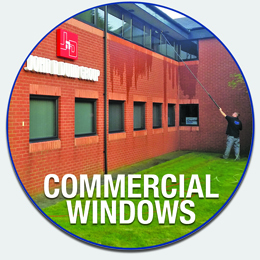 Using water straight from the tap to clean windows is a big no no because when the water dries on the glass these chemicals and minerals also dry and stay on the glass causing milky coloured streaks and spots. 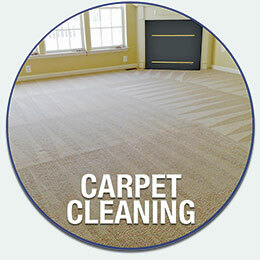 Ordinary tap water is passed through a filtering process to remove contaminates. 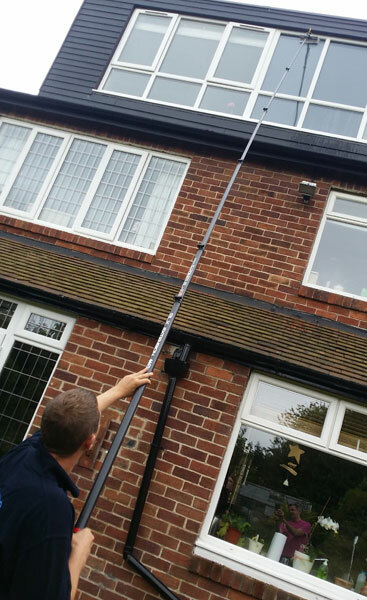 This can involve several stages of filtration depending upon the areas water quality, it is then passed through a deionising filter resulting in pure deionised water which leaves fantastic results on your windows. 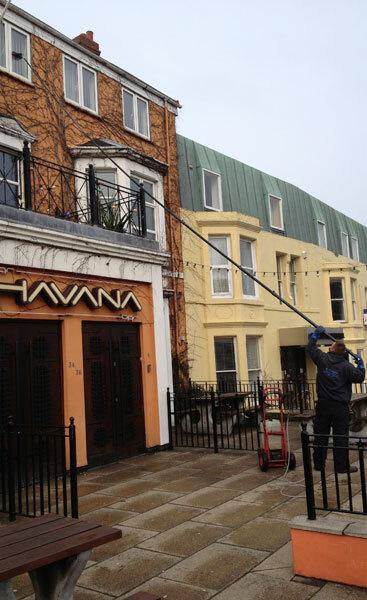 Can pure water really clean windows? 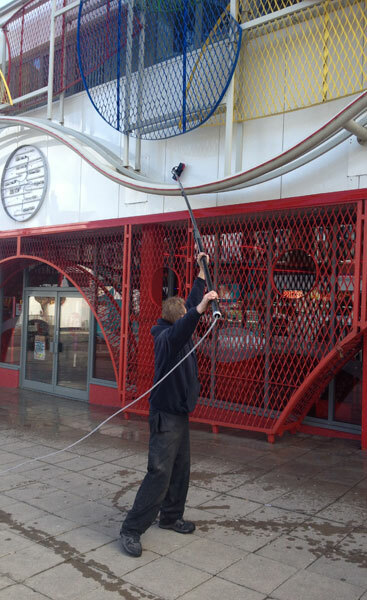 Pure water is brilliant at cleaning windows, it works along with a waterfed pole with soft-filament brushes to agitate the dirt and a pump to get the water out of our water tank in our van and up the pole to deliver a constant stream of pure water which washes away all the suspended dirt to leave clean frames and a streak free shine on the glass. 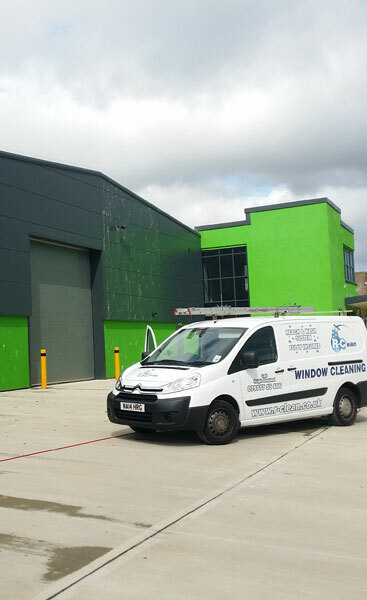 It is important to know windows will be left wet but the water left on the glass is filtered and it simply evaporates away to leave no residue or white deposits, just sparkling clean windows. 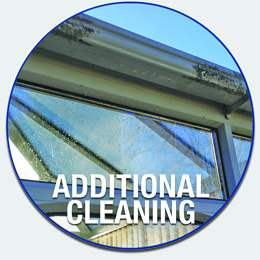 When it's used regularly it's probably the best way to clean windows but if your windows have been cleaned in the traditional manner for some time your upvc frames tend to be very dirty and because detergent has been used on them for years this will have left deposits under seals and in the corners etc so on the first couple of cleans contamination can occur in our pure water which will effect our final result and this is hard to avoid. 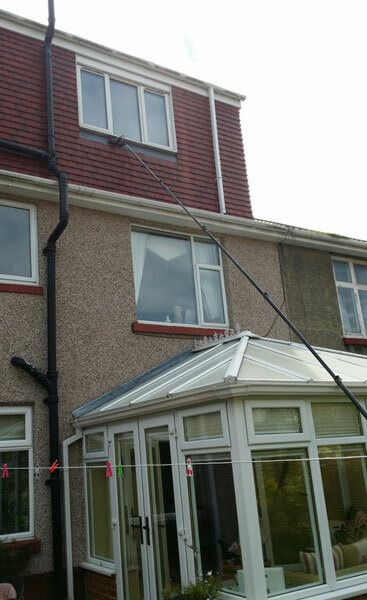 Once we have flushed this all away the fantastic results will start to show and this is why you have to appreciate it can take 2-3 cleans with the pure water to completely remove the detergent and to get the upvc frames nice and clean but once this is achieved your frames and windows really will be sparkling. 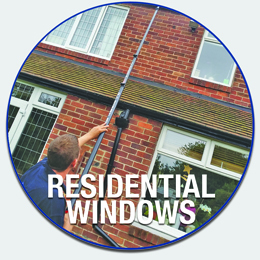 The good news is that your windows are likely to stay cleaner for longer as there is no residue left behind for the dirt to stick to. 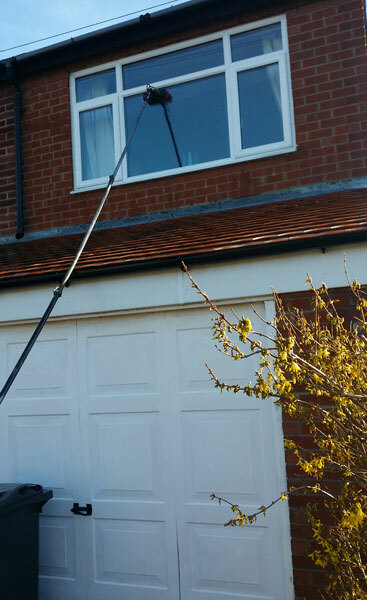 We do understand this, although fairly unrational we do realise that people are used to seeing their windows being cleaned and dried using a squeegee and can be wary of such a radical change. 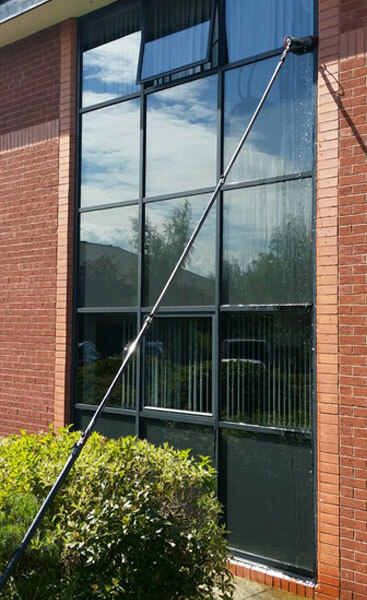 Windows cleaned with water-fed poles leave the windows wet on completion, which is the complete opposite to the tradional way but since water-fed poles use pure water the glass is left totaly sterile and the pure water will just evaporate and leave a streak free finish but you've sometimes got to see it to believe it. 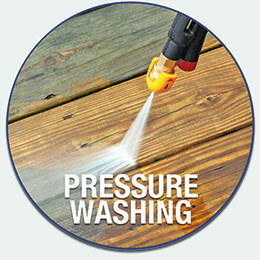 There are so many benefits of using the reach and wash system. 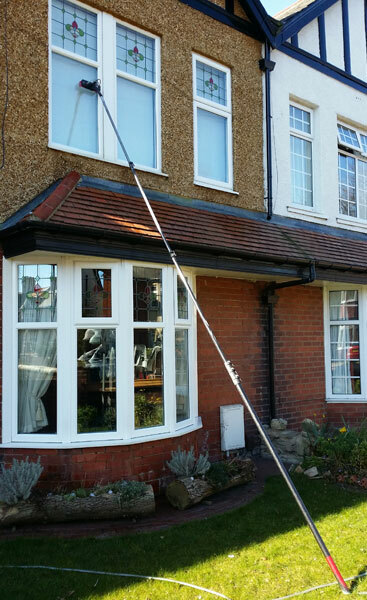 These include: - Cleaned upvc frames, doors and sills - No more damage to roofs, slates, tiles, flat roofs and gutters. 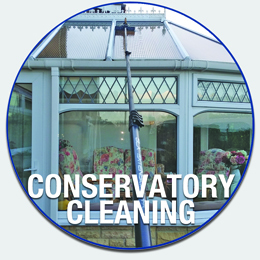 - Previously non accessible windows can be cleaned with ease - above conservatories. 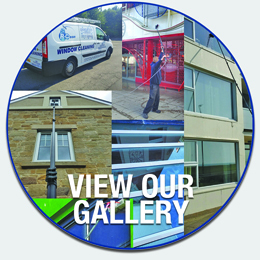 - Your privacy is vastly improved as all work is carried out from the ground floor. 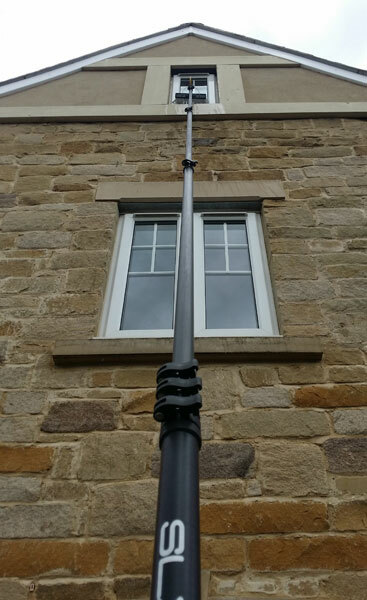 - reduced noise pollution - no banging ladders on sills and gutters.